How to Generate CSR Key via WHM? This article describes how to generate a CSR key for your website. Once you create a CSR key, you will have to copy and paste it to your SSL certificate provider's website while placing your order. If you have purchased SSL certificate from us, you can submit the CSR key to our support team through ticket. Login to WHM (WebHost Manager). 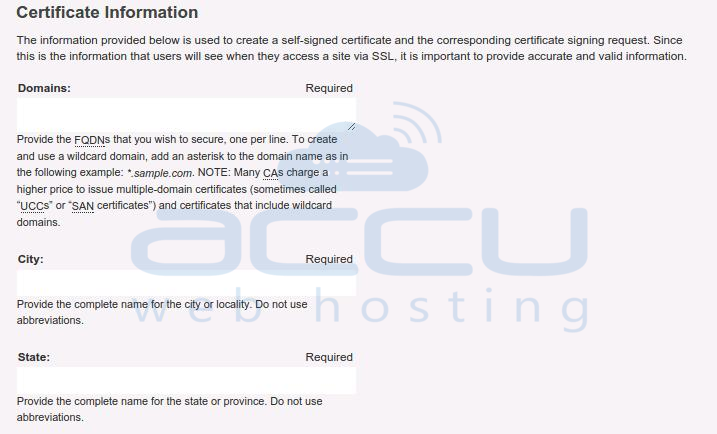 From the left navigation pane, locate SSL/TLS section and click on Generate an SSL Certificate and Signing Request. Email == An email address of company or individual. Check the checkbox When complete email me the certificate, key and CSR, if you want to receive copy of the generated certificate, key and CSR in provided email address. Key Size == Select 2,048 bits. Domains == Enter fully-qualified domain name for which you plan to use certificate. City == Name of the city in which your organization is registered/located. Enter full city name, do not use abbreviations. State == Name of state/province where your organization is located. Enter full state name, do not use abbreviations. Country == Select country (in which your organization is registered) name from the drop down . Company Name == The name under which your organization is registered. Company Division == Enter name of the division within your organization. 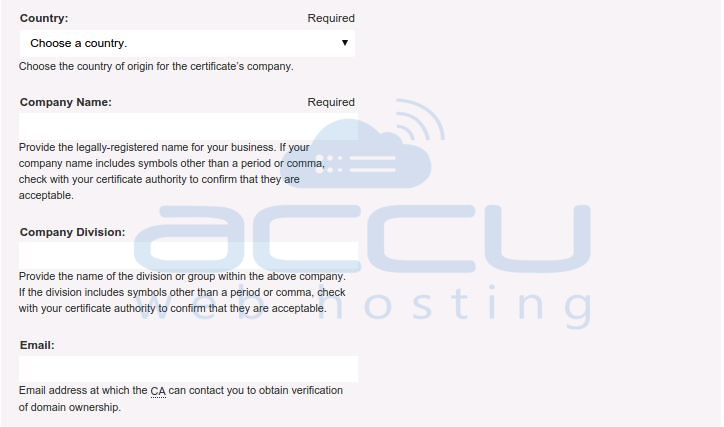 Email == An email address of company or individual at Certificate Authority can contact you to obtain verification of domain ownership. Passphrase == The password for the certificate [Please left this field as a blank]. 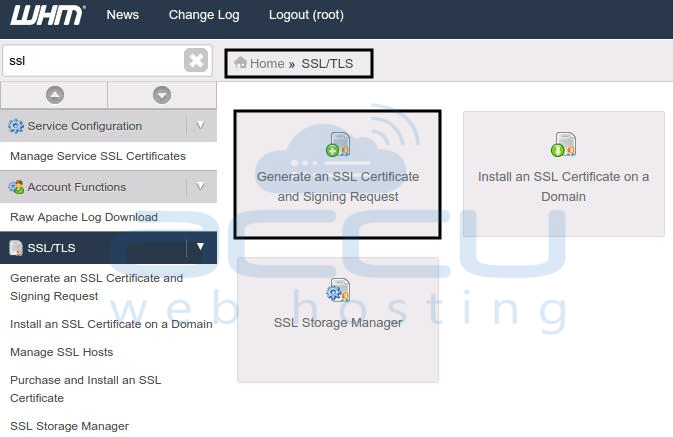 How to create a cPanel account from WHM?